$20 Academy Gift Card with purchase via mail-in offer. 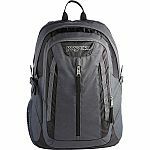 Academy Sports has select backpacks on sale. Shipping is free on orders $25+. 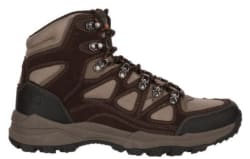 Academy Sports & Outdoors offers the Magellan Outdoors Men's Seguin Mid Hiking Boots in Brown for $14.98 with $3.99 for shipping. That's $6 under our August mention, $25 off, and the lowest price we could find. They're available in select sizes from 8 to 12.
now part of their "50% off clearance apparel" sale (prices as marked). Sizes available will vary. Academy Sports has up to 70% off clearance. Shipping is free with $25 purchase. 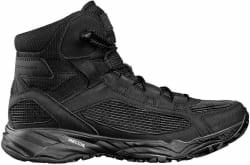 Academy Sports & Outdoors offers the Magnum Boots Men's Opus Tactical Boots in Black for $29.98 with free shipping. That's the lowest price we could find by $40. They're available in sizes 8 to 11. Academy [academy.com] has adidas Men's Tiro 17 Training Pant [academy.com] for $20 (free ship on $25+). May not ship to california due to prop 65. Nike Men's Air Versitile II Basketball Shoes [academy.com] (many sizes in white) $20 + free shipping on $25. May not ship to california due to prop 65. Academy Sports has select Nike Shoes on sale. Shipping is free on $25+. Academy Sports & Outdoors offers the Nike Air Women's Versitile II Basketball Shoes in Blue for $19.98. Pad your order to over $25 to receive free shipping. (Otherwise, shipping adds $3.99.) That's $10 under our mention from two weeks ago, $30 off list, and a very strong price for a pair of Nike Air basketball shoes. They're available in sizes from 6 to 11. 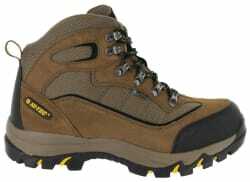 Academy Sports & Outdoors offers the Hi-Tec Men's Skamania Mid Waterproof Hiking Boots in Brown for $19.99 plus $3.99 for shipping. That's the best price we could find by $19. They're available in select standard and extra-wide sizes from 8 to 13. Academy Sports & Outdoors offers the Nike Men's Club OH Fleece Pants in Black/White or Dark Grey Heather/White for $19.99. Add two to your cart to cut the price to $39.98. With free shipping (which wouldn't apply for one pair), that's $2 under our mention from three weeks ago and the lowest price we could find for this amount by $30. They're available in select sizes from S to XXL. Academy Sports & Outdoors offers the Nike Women's Fleece Sportswear Pants in several colors (Black/White pictured) for $20 plus $3.99 for shipping. That's the best price we could find by $21. They're available in select sizes from S to XL. Academy Sports has select items on sale. Shipping is free with $25.